Preheat oven to 375 degrees F (190 degrees C). Position rack in center of oven. 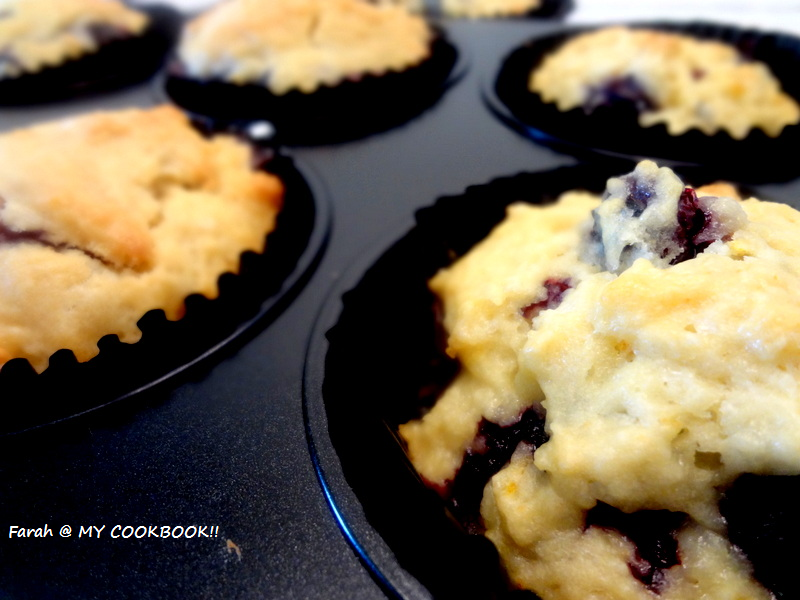 Butter or line 12 muffin cups with paper liners. In a large bowl whisk together the lightly beaten egg, yogurt, oil, and vanilla extract. In another large bowl whisk the flour with the sugar, baking powder, baking soda, and salt. 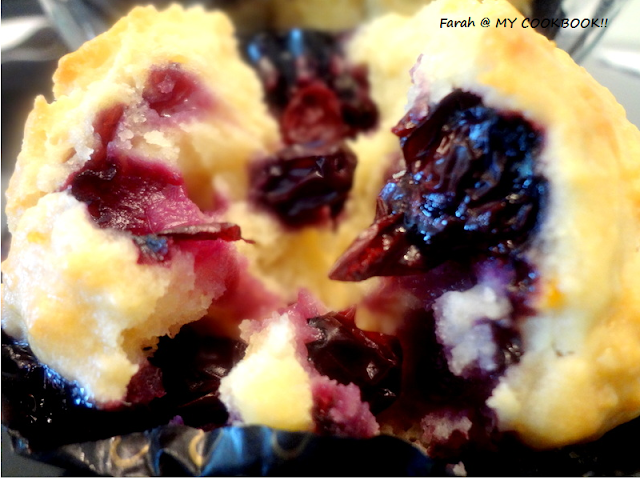 Place in the oven and bake for about 15 - 20 minutes or until a toothpick inserted in the center of a muffin just comes out clean. 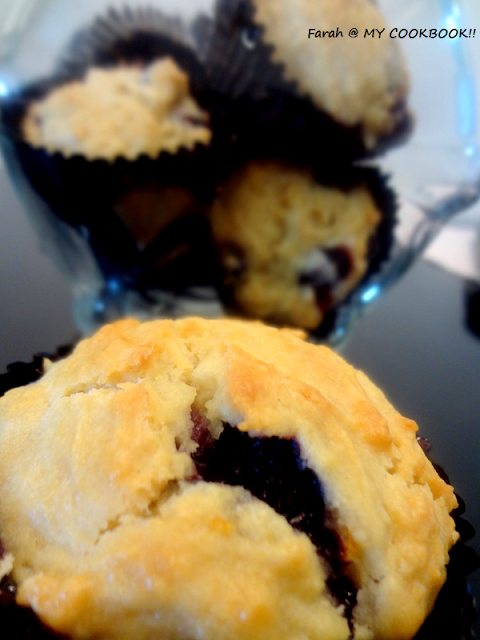 They looks so yummy with the fresh blueberries..
Muffins look soft & yummy..